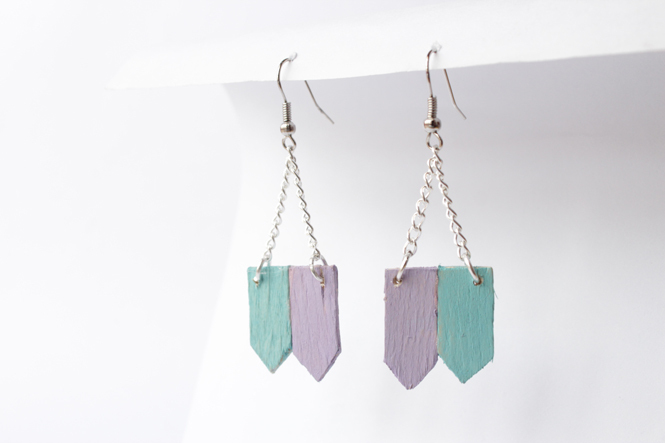 Today, I wanted to experiment a little with popsicle sticks and since I haven't made earrings in a while this was the perfect opportunity to try a new idea. 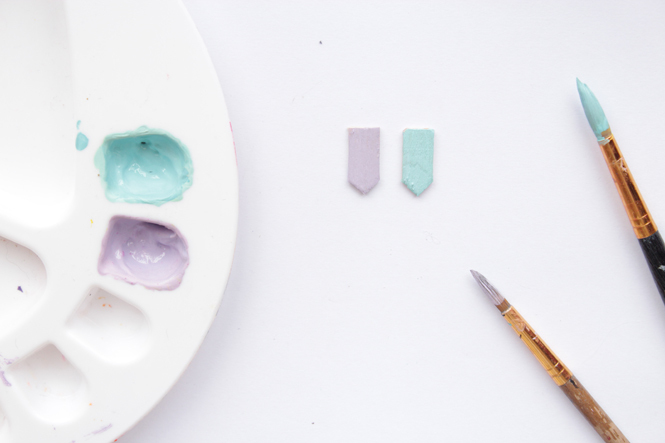 Use your creativity and try as many color combinations as you want, I was in the mood for some light colors, so I slowly mixed the paints together to create pastel shades. Since I already had all the materials, this project cost me absolutely nothing and was super quick to make. 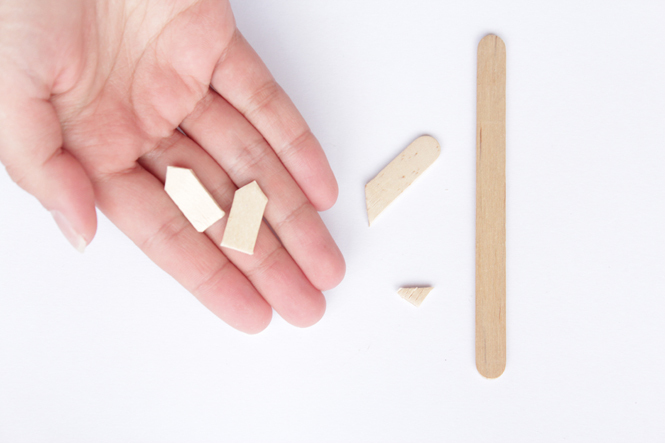 Start off by using the scissors or an x-acto knife to cut two arrow shapes with the same size. Sand the rough edges if necessary. 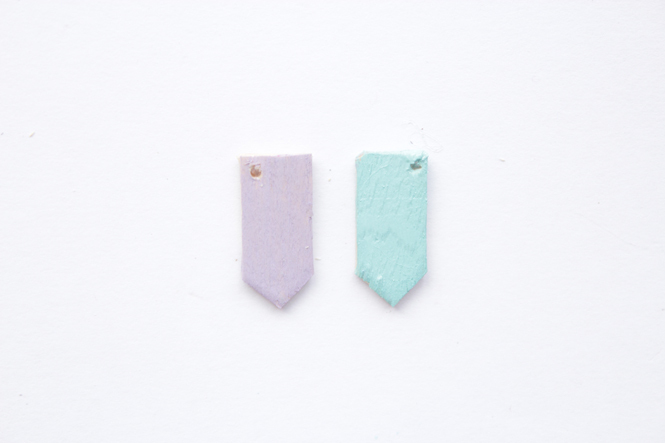 Choose what colors you want to use and paint the shapes. 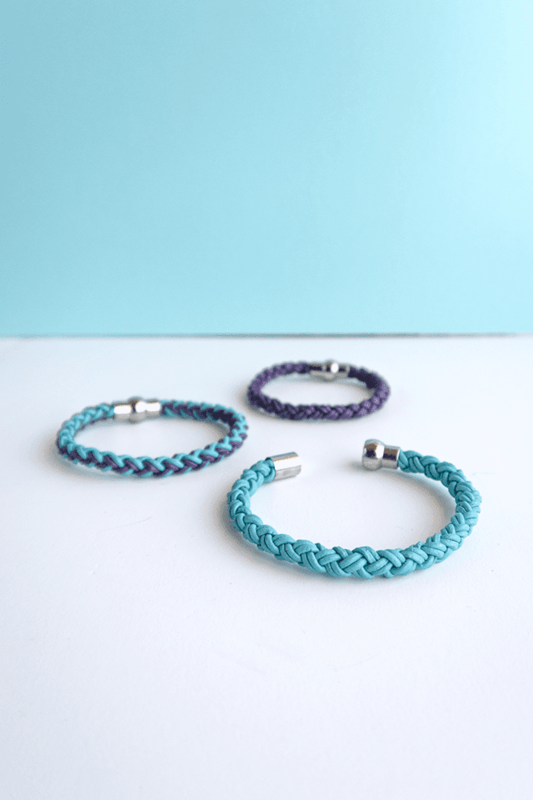 I've made my own mix of pastel blue and purple. Get the drill and with a small point, mine was the 1.5, make a hole on the outer corner of each piece. Glue both of the pieces together and attach the jump rings, chain and earring wire. 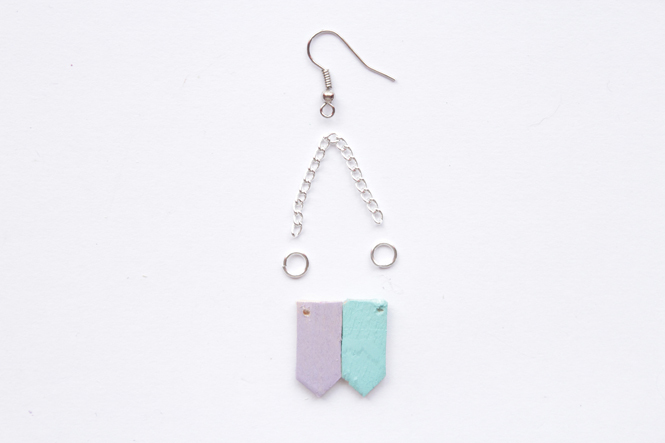 These earrings are super lightweight, which is a plus for me, I can wear them all day without hurting. I hate when I see a pair of earrings I love, but can not wear because they are too heavy. 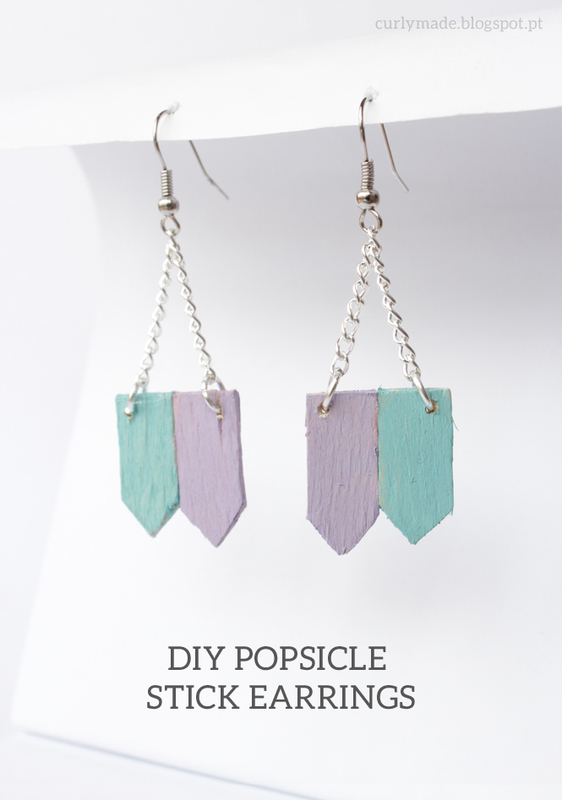 Have you made popsicle stick jewelry before? If you make these don't forget to post on Instagram #curlymade so I can check it out.